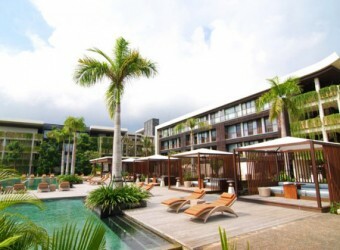 Bali Hotel It is in the great location to see Dreamland Beach, Le Grande. The building is modern-style and unique architecture. In the guest room, they use high-sense furniture and guests can enjoy elegant time there. It takes 5 min to Dreamland Beach by walk, and it locates next to New Kuta Golf.